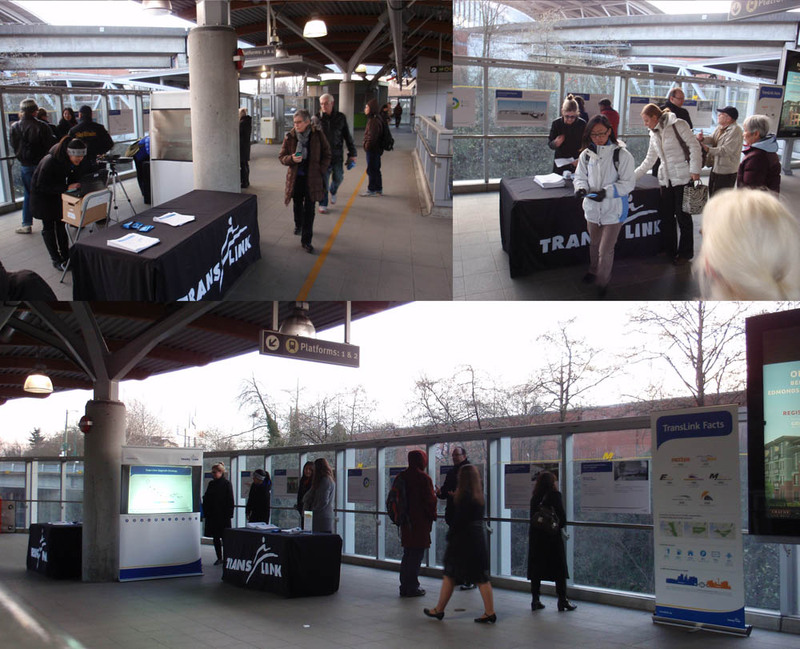 TransLink unveiled a $50 million plan to renovate the Commercial-Broadway Station at an information session at the Skytrain stop on December 5, 2013. Another two public information sessions will be held on December 10th & 11th. The literature and a survey are both available on TransLink’s website. 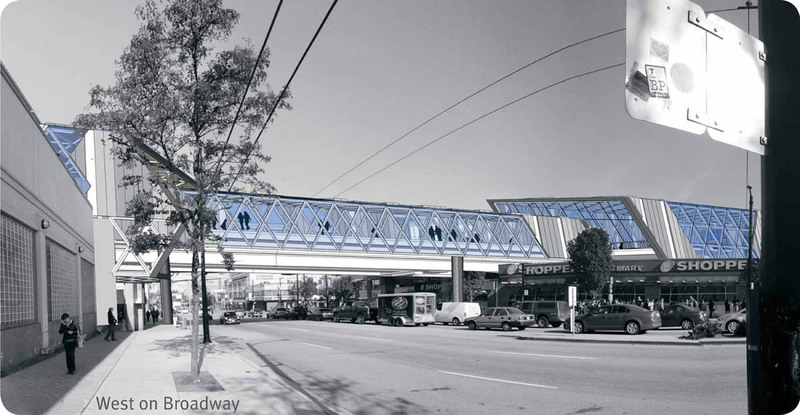 The Commercial-Broadway stop is already the busiest station on the Skytrain network. 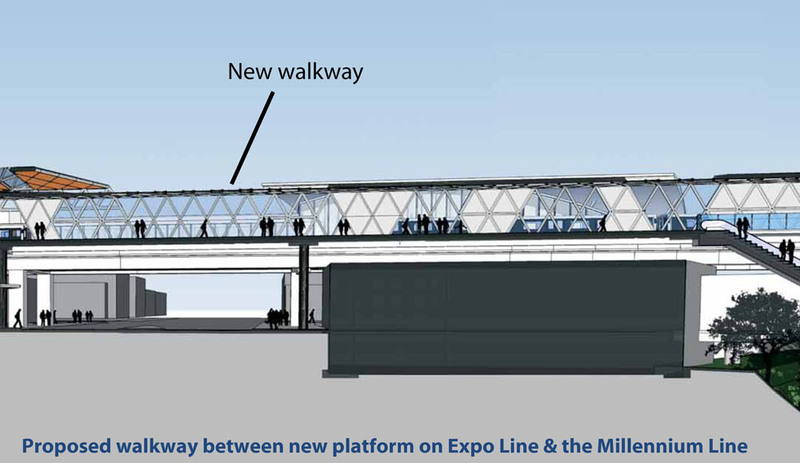 To relieve congestion, the proposal includes a new walkway over Broadway and a new platform on the Expo Line Platform for the Westbound track. TransLink’s literature noted that the $50 million estimate for this project was already approved in their 2014 Base Plan. 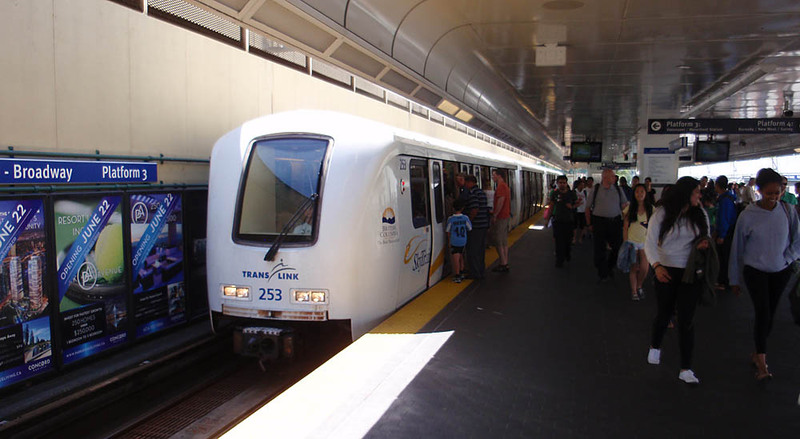 The cost will be split between the Province (39%), Federal (20%) and TransLink (41%). However, could the station improvements be made at a substantially lower cost, and did TransLink already tip their hand by revealing a $50 million budget for this project? Perhaps an alternate process to encourage competitive bids would be to release a specification, not publish a budget and then allow competing firms to design and bid on the project. TransLink states that the work on the project will start in 2014 and finish by 2016; the design sketches are only preliminary. 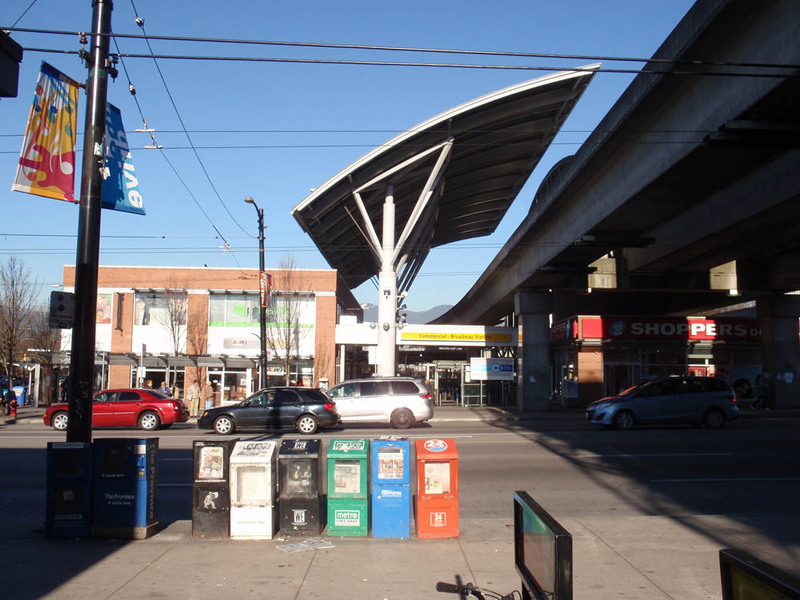 The Safeway store on Broadway is built to the edge of the Skytrain tracks. 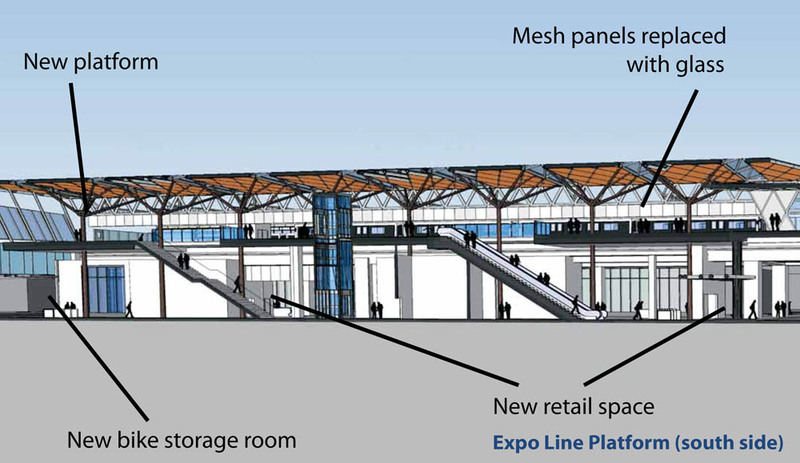 In order to make a new Westbound platform on the east side of the Expo Line track, TransLink will have to purchase part of the Safeway site. A part of the Safeway would have to be demolished. Is there an expectation that the Grandview Woodland Plan will lead to the redevelopment of this site? Or will Safeway reconfigure the existing store? For more details on the City’s first draft of the Grandview-Woodland Plan, see our previous posts: landuse analysis, towers at Commercial & Broadway in City Draft plan Part 1 and Part 2. Improvements for bus users are not included in this round of upgrades. Could an expanded covered area around the 99-B line bus, the No. 9 and No. 20 trolley buses increase pedestrian comfort on wet days? 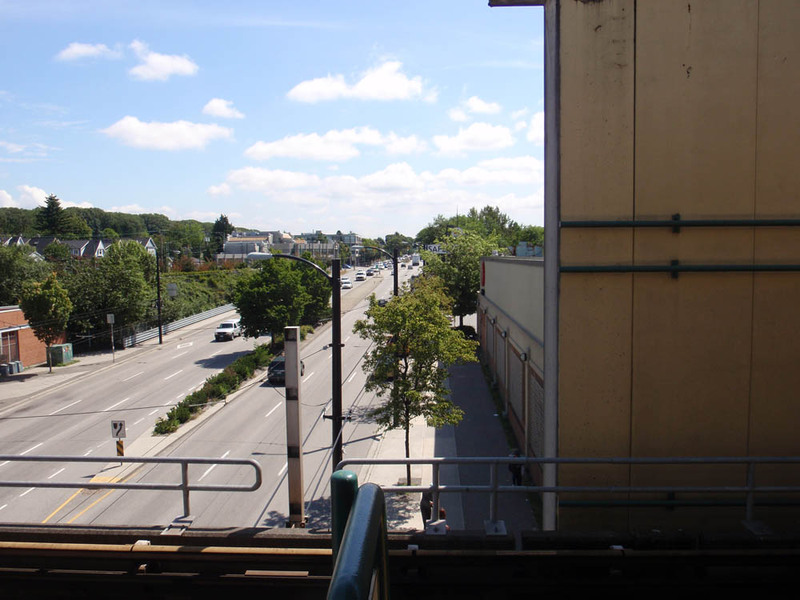 The plan considers widening the bridge over to the Millennium line platform. However, there’s no exploration of constructing a very short bridge over to North Grandview Hwy and to create a new entrance to the Millennium Line stop. 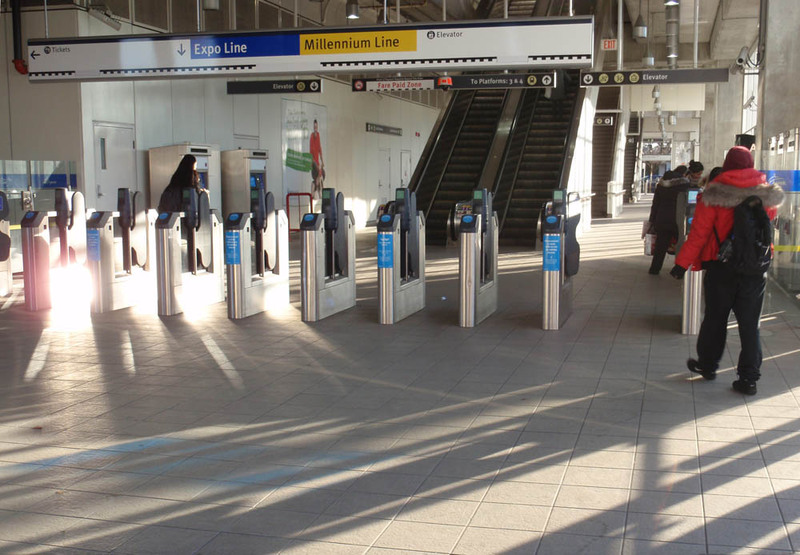 If TransLink is spending $50 million on upgrading the station, should this option be entertained? TransLink’s literature states that station handles 90,000 trips daily on the Skytrain (Expo & Millennium line combined), and another 60,000 trips on buses (99-B Line, 9 and 20 trolley buses). The current proposal includes additional elevators and escalators. 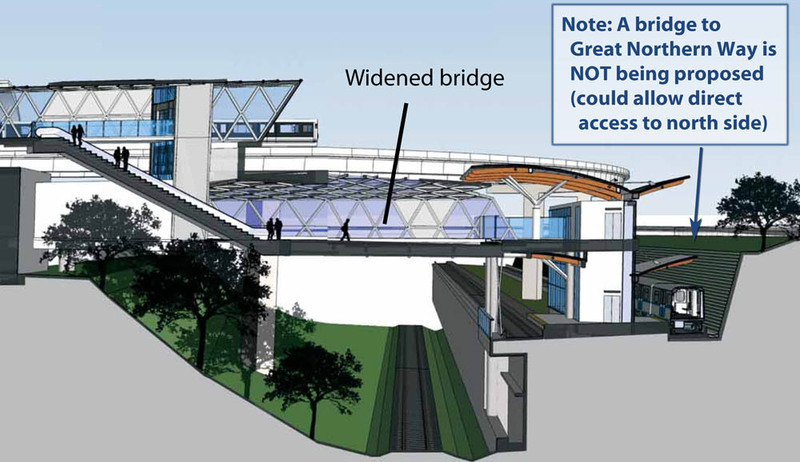 A new concourse on the north side of the station would be enclosed in glass rather than being just merely covered. The Broadway Station Entrance and the 10th Avenue entrances would be both widened. Small shops and services are being considered for the lower level of this station. A new bike storage room that is accessible from the 10th Avenue entrance is also included in the upgrade plan.